The Importance of Hitting Your Target Month After Month! Apprenticeships are no different to most other training programmes. There is a start date and a planned end date. For you as an apprentice, your planned end date signals to you the apprenticeship programme should be achieved and complete. You will then either have secured a full-time position, you will be looking for a position or will have progressed to an advanced/higher level Apprenticeship to move on with your career. There are 2 distinct parts to your apprenticeship programme. They are both equally important. Most adults in the work environment are working full time and doing study plus many don’t get any time off work to do assignments – unlike apprentices. Think 20% OF THE JOB! Experience tells us that when learners get behind in their studies they start to suffer from stress and overwhelm. This can quickly escalate into a situation where there is too much pressure to get through all the work you get behind with. This results in learners avoiding contact with tutors and we must then instigate measures to deal with this situation. How We Can Help You to Stay Motivated and Succeed! All our tutors are here to support you to succeed and gain your apprenticeship qualification. 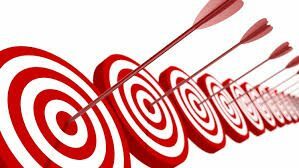 Rove have also signed the same commitment statement that you did, and we intend to fully support you to be on target and reach the end goal. Some of the things we do for you…. You will make a personal learning plan with your tutor to follow. This means you know exactly what is expected of you and the date it is due. No confusion. No uncertainty. You are in control of your learning. Your tutor will support and guide you throughout the course. You will see your tutor often and you can use that time to discuss any concerns or ask questions as well as via email or phone. Feedback on all assessments is delivered online and in person. You are always up to date. Feedback is online and easily accessed wherever you are – so you always have the support you need when you need it. You will also see tutors in training sessions and you will get verbal feedback and support in person. This is your chance to engage with your tutor and always keep your tutor up to date with any concerns/issues you have. We have given you excellent quality learning resources to support you with your knowledge assignments that will stretch and challenge you. This means that you have a benchmark to learn from and then you can do your research around these to build even more in-depth knowledge. Your Manager can be involved online too. This makes sure everyone – you, your manager and your tutor from Rove know exactly where you are and how your progress is going. Everyone will know if you need extra support at work or with written work to help you build your skills and knowledge. You are allocated off-the-job training time which is to comply with the ESFA’s (funders) guidelines. 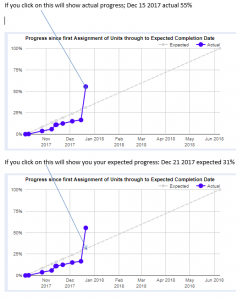 You can upload your records of off the job learning onto ilearner which again helps all parties stay engaged with the process and your progress. If managers or team leaders want to know more about how to get the very best out of ilearner for you and your apprentice, then drop us an email on info@roveconsultancy.co.uk.